MMG, the owner of the well, produces 7 percent of the country's oil. Kazakhstan’s newly installed president has taken personal charge of overseeing the fight to extinguish a fire at an oil well in the country's west. Kassym-Jomart Tokayev wrote on his Twitter account on March 26 that the government would take all necessary measures to contain the blaze at Kalamkas, which began early in the morning the day before. Officials with the Industry and Infrastructure Development Ministry have attributed the start of the blaze to an oil seepage spontaneous combusting at a well operated by Mangistaumunaigaz, or MMG, a joint venture between Kazakhstan’s state-owned KazMunaiGas and China’s CNPC and PetroChina. MMG has said no injuries have been reported. This incident appears to have been some weeks in the making. MMG has said that there was a seepage of gas and water on March 13 during the construction of a well at the Kalamkas field. The company said the rupture had been caused by a build-up of gas. 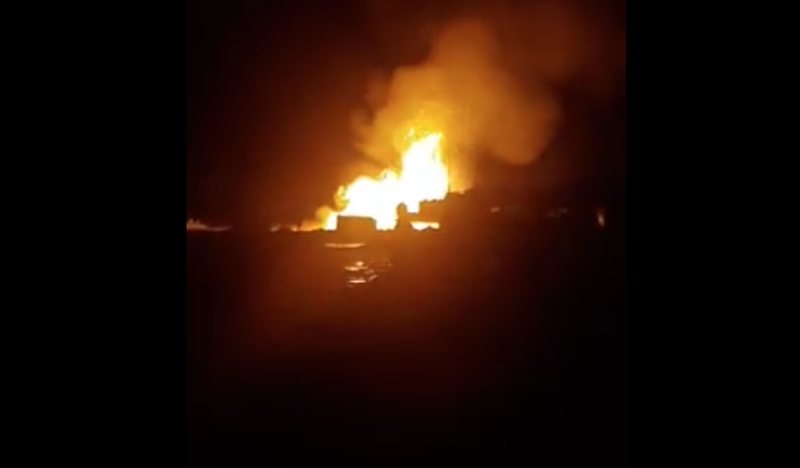 Many days later, on March 22, local media in the Mangystau region reported seeing slicks of oil in the same location where the blaze is now raging. More than 50 firefighters are involved in putting out the flames. The lack of access to the site has hindered firefighting efforts, however, MMG said in a statement. According to a Reuters report, MMG last year produced 6.4 million tons of oil — equivalent to around 7 percent of the country’s total output. Speaking to reporters on March 26, Energy Minister Kanat Bozumbayev sought to play down the scale of the incident. “In principle, there is no need to make a huge tragedy out of this. There are no residential areas nearby. The fire is not that big. It happens, but we will work out who is to blame and they will pay for the damage caused,” he is reported to have said.